Posted August 22, 2018 by Vladica Stojanovic & filed under Best Of Sydney 2018, Services. 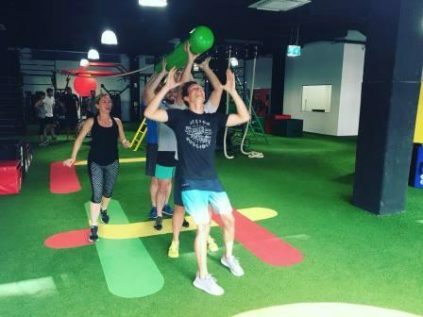 Many fitness centres claim to be different, but Movement Republic really is. Founder, Ann Charleston has developed a program of activities based on real, everyday human movements. It’s practical, it reduces the risk of injury and most of all – it’s heaps of fun. Gone are the scales, calorie counters, competitive score boards. Instead you’ll be training with a small group – or one on one if you prefer – and engaging in a series of obstacle course/dance/playground/survival style exercises that not only get you moving, but also thinking and feeling. No contracts. Friendly enthusiastic mentors. Great environment. Join the Republic!